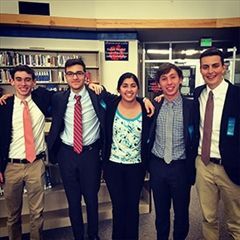 Speech and Debate is Hawken’s largest extra-curricular activity. 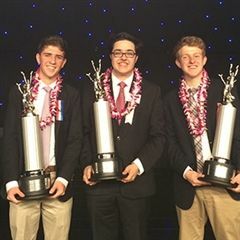 Founded over 40 years ago by Dr. Larry H. Banks, the team has built an impressive list of results, including multiple individual event state champions, two team state championships in 2014 and 2016, two national championships in 2014, and three-time recipients of the National Speech and Debate Association Debate School of Excellence Award. 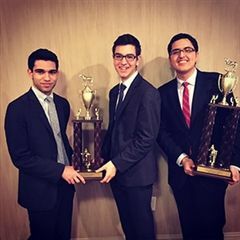 Every season, the team travels around the country to debate at the country’s most prestigious tournaments including the Harvard Invitational, Emory’s Barkley Forum, and the University of Kentucky’s Tournament of Champions. 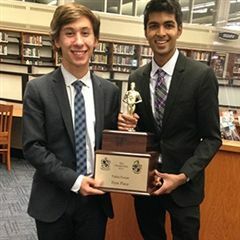 Currently led by Bob Shurtz, Chase Williams, and Becca Marks, the Speech and Debate team is without a doubt one of Hawken’s most celebrated signature programs. Bob Shurtz has been teaching science and math and coaching speech and debate at Hawken School for over 30 years. He has been the Director of Speech and Debate since 1998. 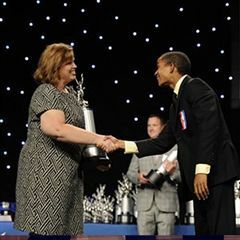 He has received his third diamond from the National Speech and Debate Association and is a member of the Ohio High School Speech League Hall of Fame. He has coached many state champions in Lincoln Douglas Debate, Public Forum, Policy Debate, and Congressional Debate as well as numerous students in the final round. He has also coached a national champion team in Public Forum and in Congress. A graduate of the University of Michigan with a master's degree in physics from Harvard University, Mr. Shurtz has received teaching awards from the Tandy Corporation, MIT, Stanford, and Williams College and has served as the Academic Director of the United States Physics Team. He is currently the Director of STEMM Pathways. Becca Marks attended The Ohio State University and earned her Bachelor of Arts degree in English with minors in Creative Writing; Jewish Studies; and Women’s, Gender, and Sexuality Studies. She then attended Harvard’s Graduate School of Education to earn her Master of Education degree in secondary English education. She joined the Hawken community as a 9th and 10th grade Humanities teacher in fall 2015 and loves Hawken for its innovative programming, collaborative faculty, and most importantly, inquisitive and compassionate students. Becca joined the Speech and Debate team coaching staff in February 2016 after attending the Harvard Invitational Tournament. While she accompanied the team to Boston simply to help chaperone, she quickly fell in love with the program and its hard-working students. Susan McGraw has been teaching high school English and writing for 24 years. A graduate of The University of Florida where she earned a B.A. in Secondary English Education, Ms. McGraw is a former National Board Certified Teacher of High School Language Arts. She comes to Hawken from Florida where she first got involved in speech and debate in 2010 teaching debate classes and overseeing a small, fledgling competitive team. 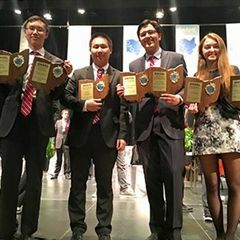 In 2012, her school district entered into a debate initiative with the National Speech and Debate Association to grow the debate presence throughout the district, and in 2015 she qualified the first two students from an initiative school to the NSDA National tournament, growing a team of 6 to a team of over 100 with qualifiers to nationals every year since. She has coached state champions in original oratory, program oral interpretation, oral interpretation, and public forum debate. In 2017 she coached the third place finalist in original oratory to the NSDA national tournament, and in 2018 she coached the sixth place poetry supplemental competitor and the second place public forum team to the NSDA national tournament. Her program was host for the past five years to the debate initiative monthly novice tournaments, and she served as an initiative mentor to new coaches to the district and to debate. In 2015 she was honored as the Broward County Debate Initiative Coach of The Year and that same year as the Florida Forensic League Hurricane Region Coach of The Year. "What parent does not want their child to excel in public speaking and know more about current national and global issues that you ever could! That has been my experience with having a child in the Hawken Speech and Debate program. Thanks to the wonderful coaches any child can turn into a national champion. The opportunity to travel around the country and compete at the national level is not something you can find at every school. If you have ever wondered about the future of the country all you have to do is watch the Hawken Speech and Debate kids in action."